Perfect for all the cactus lovers. 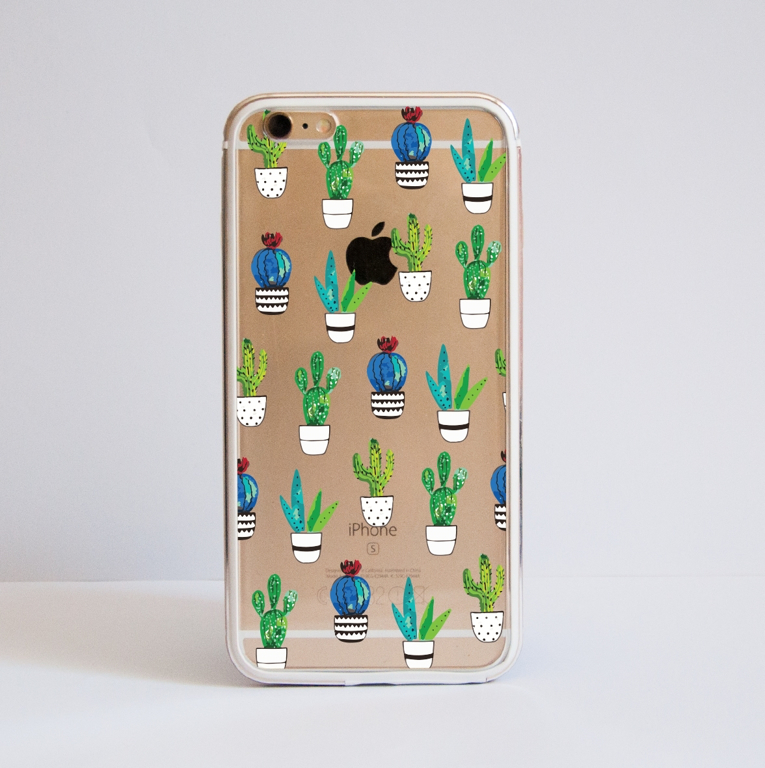 This case design features 4 of my cactus watercolour artwork. The bright and trendy colours will defintely make your personal devise stand out. The Bumper covers are for those of you who want a bit more protection for their phone. The strong aluminium frame will wrap around the edges and keep your phone safe from scratches. Printed wiht our original designs you get protective yet beautiful case for your device. Our impact cases are beautiful AND tough. Our Cacti design is definitely our customers top 1 favourite Dessi's design. The bright cactus elements contrast the white pots and create a colourful yet graphic look. Each cactus is hand drawn using watercolours to create the colour blending. 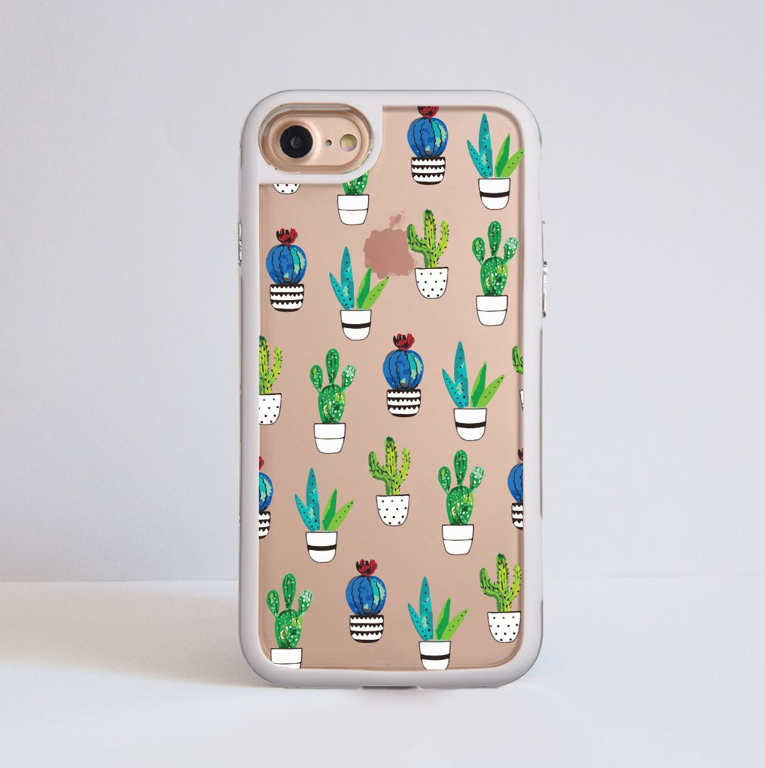 Perfect for the cactus lovers out there! We use our phones all the time, so why not protect them is a personal and cute way? The pictured above is an example of an iPhone 7 Plus Case. The case is made out of tough plastic and it has two parts- TPU frame, which comes in different colours and a frosted back plate, which is printed with the chosen design. The frame goes around all edges, so it provides a bubble wrap protection. Cactus Print - A5 Notebook filled with 40 blank pages. Perfect for all the cactus lovers. 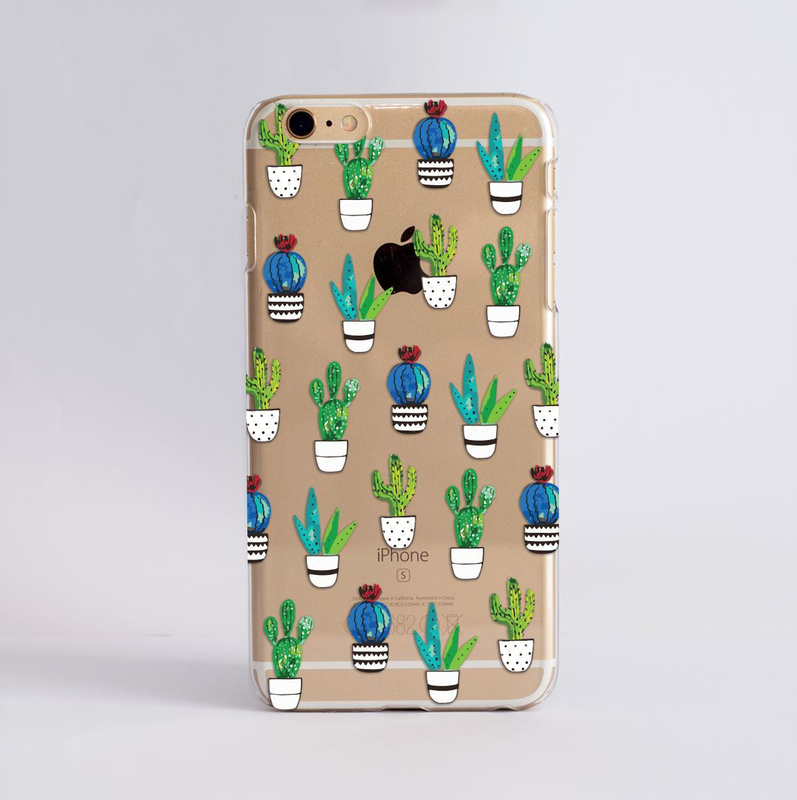 This case design features 4 of my cactus watercolour artwork. The bright and trendy colours will definitely make your personal devise stand out. The clear case design allows you to showcase your device, but unlike a sticker it will protect your phone from scratches and dents. We use our phones all the time, so why not have them protected in a very stylish way? The pictures above are examples of a clear iPhone 6 Plus cover. Each case is made from clear hard plastic. The finished design is printed directly on to the plastic plate, using UV inks, which ensures its durability. Each case has slight variations of the final print. The design will be more or less zoomed in as different models vary in size and shape. Also please be aware that some phone models require holes in their cases for sockets and the camera lens, which can obscure parts of the design.